The Zenker Creative Pan adjusts from 14-1/2″ x 13″ to 20-1/2″ x 13″, giving you the flexibility to adjust the width of the pan to fit your oven, your meal options, or your own inspiration. Keep in mind to use the same base recipe, and to alternate flavors, fillings or toppings for maximum results. Try adding food coloring to a basic white cake to make a three-layer multicolor cake, or an assortment of jelly rolls. Melt a little butter and brush the inside, sides and divider inserts with a pastry brush, then place the pan in the refrigerator before filling and baking. I’ve found this allows for a really nice browning and easy release. Here’s a couple baking uses that I’ve found for this pan – my only wish is that I had discovered it sooner! Whenever I suggest making a Spinach Quiche for a weekend meal or a holiday brunch, my husband will remind me that I’ll be the only one eating it! The kids prefer a plain egg and cheese, while my husband absolutely loves sausage (something neither I, nor the kids are fond of). 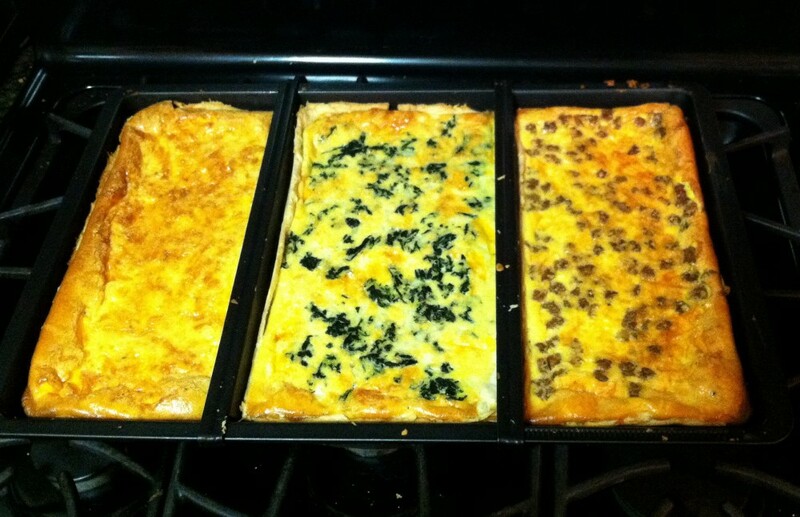 With the Zenker Creative Pan, I can now make three quiches that we can all enjoy – all at once! 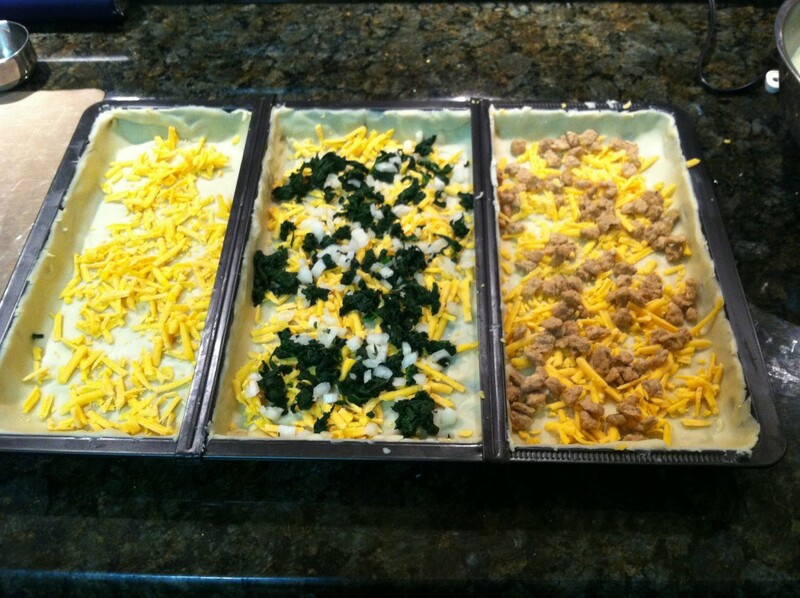 When fully expanded to 20-1/2″ x 13″ with the two dividers placed evenly in the pan, each section will easily accommodate a standard 9″ pie crust with a basic 9″ quiche recipe filling. 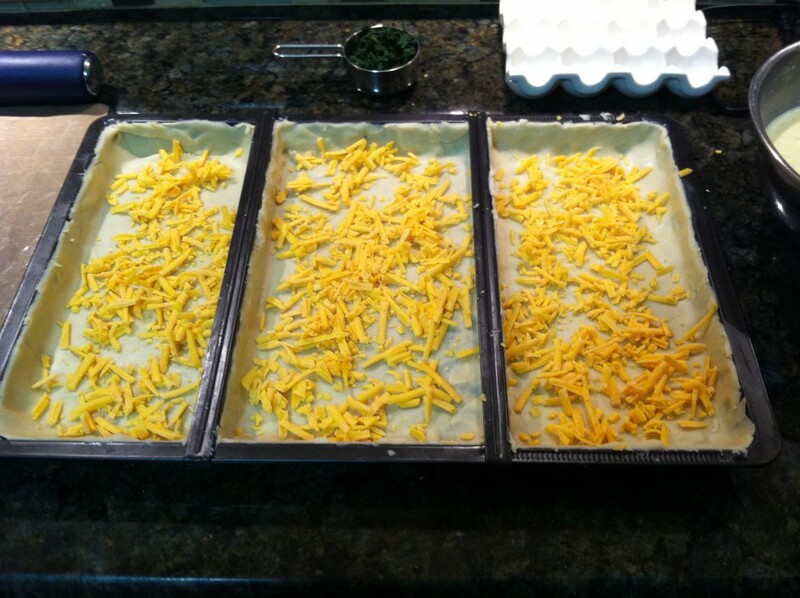 Even though there is a small gap under the dividers, you can run the crust up along the edges and that will contain the different fillings of each quiche. Press a homemade, or store-bought crust into each section of the pan. Sprinkle grated cheddar cheese into each section. Add additional fillings per section. Pour egg and heavy cream mixture over the top of each section and bake. Keep in mind to watch closely during the last 10 minutes or so of baking – you may need to add or reduce the cooking times based on your recipe. 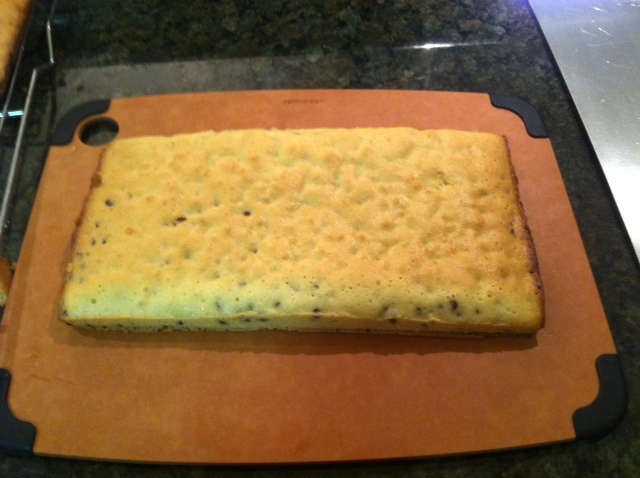 Some of you may be asking – do you really need a special pan to bake biscotti? Maybe you’re familiar with the denser, chewier type of biscotti that’s made with thick and sticky dough, in which you shape into a log to bake before cutting. And, yes, you can use a baking sheet for that method. However, for uniformity in shape and baking, I’ve always used a long biscotti pan for this, and for when I’m making biscotti using a cake-like batter as well. The cake-style batter, which results in a lighter and crispier biscotti, such as our “Mamma’s Biscotti” recipe, uses a bit more eggs, oil and baking powder. 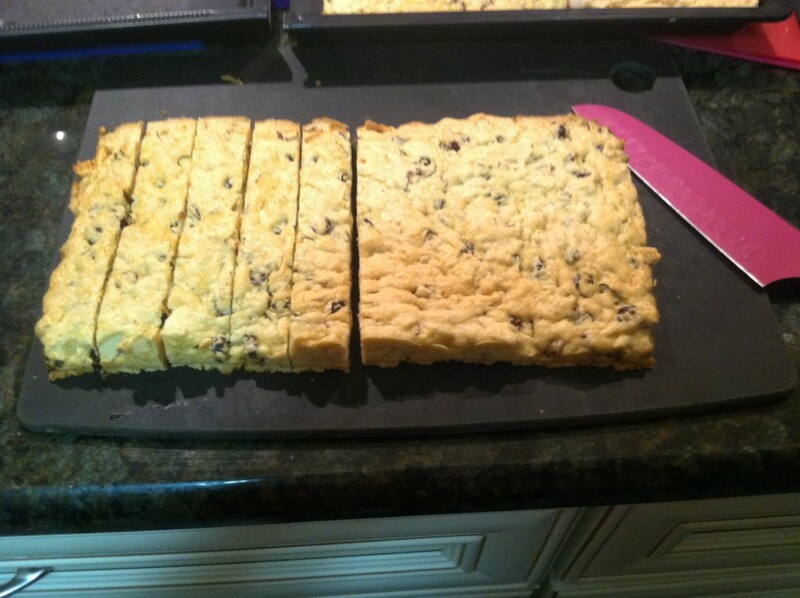 “Mamma’s Biscotti” are, by far, a favorite among my kids, nieces, and nephews. The adults in my big Italian family, though, can’t get enough of my Apricot Almond Cranberry Biscotti, which is almost addictive, and uses our Fante’s Apricot Natural Flavor Blend. 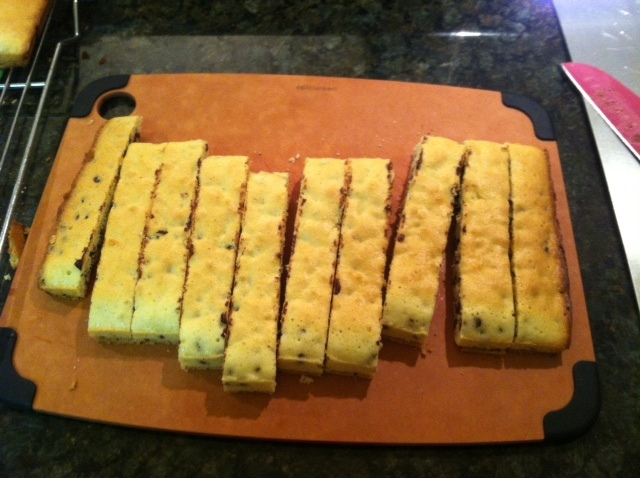 I’ve used the “Mamma’s Biscotti” recipe as a base, using only the first 5 ingredients in the recipe. I adjusted the pan to an overall size of 18″x13″ and evenly spaced the dividers, which allows for about a little over 4″ per section. 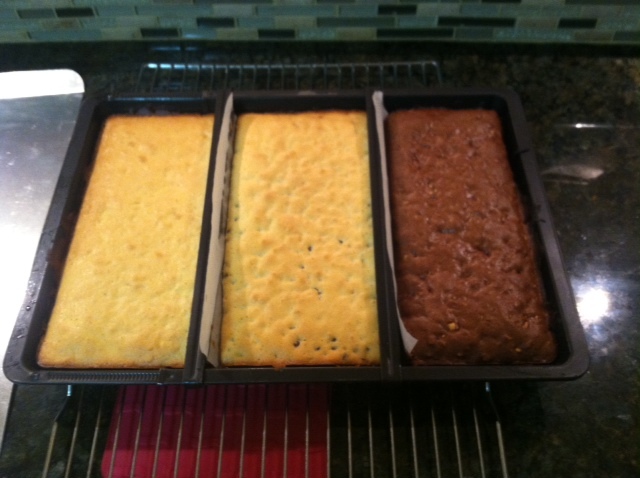 Three different biscotti flavors, ready to bake up in the Zenker Creative Adjustable Pan! After mixing the base, I divide the batter evenly between 3 mixing bowls. 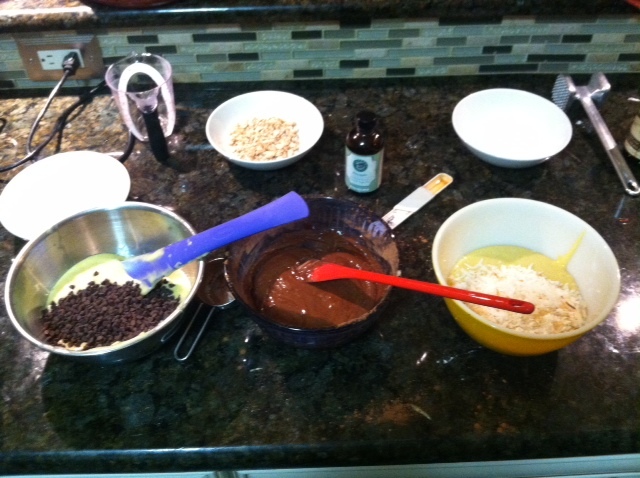 In the first bowl, I add 1/2 cup of mini chocolate chips and 1-1/2 tsp pure vanilla extract. In the second bowl, I add 1/4 cup unsweetened cocoa powder, and stir to blend. Then add 1 tsp pure vanilla extract and 1/2 cup peanut butter chips. Note of the peanut butter chips: Since I couldn’t find the mini chips, I recommend placing these large chips between two sheets of wax paper, then hit them with a flat meat mallet to break into smaller pieces. This makes it easier to cut after the biscotti bakes the first time. In the third bowl, I add 1/2 cup sweet shredded coconut, which I lightly toast for a few minutes in a hot oven, and 1-1/2 tsp Fante’s Pineapple Natural Flavor Blend. Follow my previous tip on greasing the pan, then add a narrow strip of folded parchment to prevent the batters from mixing under the center dividers as shown. I find that using the #19282 Parchment Mini Roll is ideal for this, as well as for lining the sides of cake and springform pans as well. 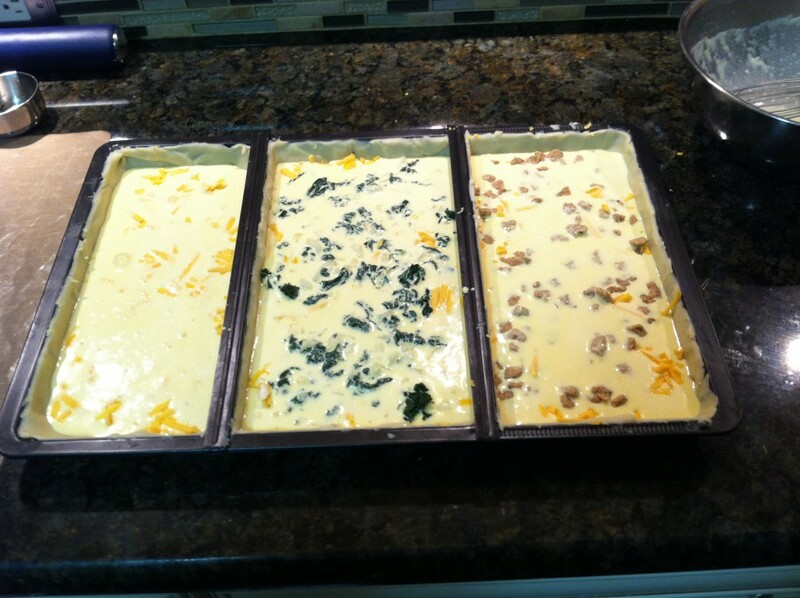 Pour the batter into each section and bake. Keep a close eye on the biscotti during the last 10 minutes of baking, as I found these cooked up a bit faster than my normal pan. 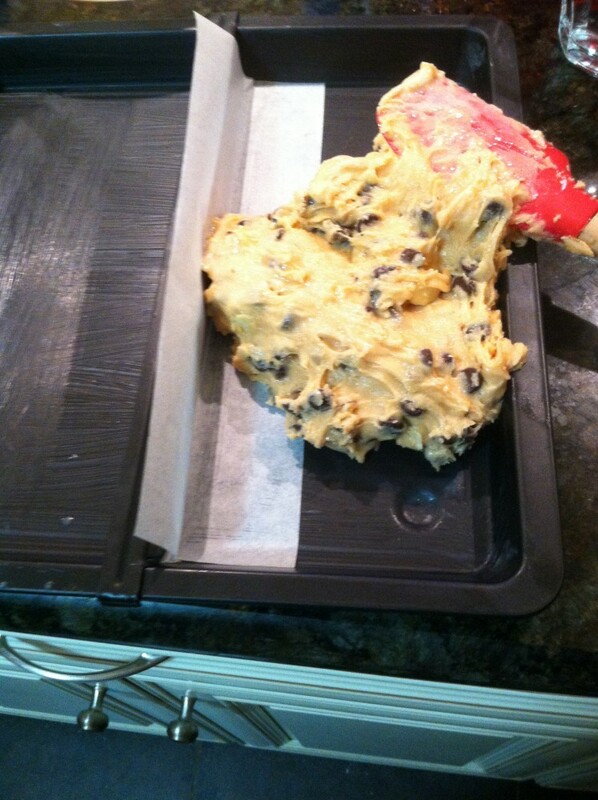 Once done, place the pan on a cooling rack and pull the side of the pan out to loosen the first section of cookies. 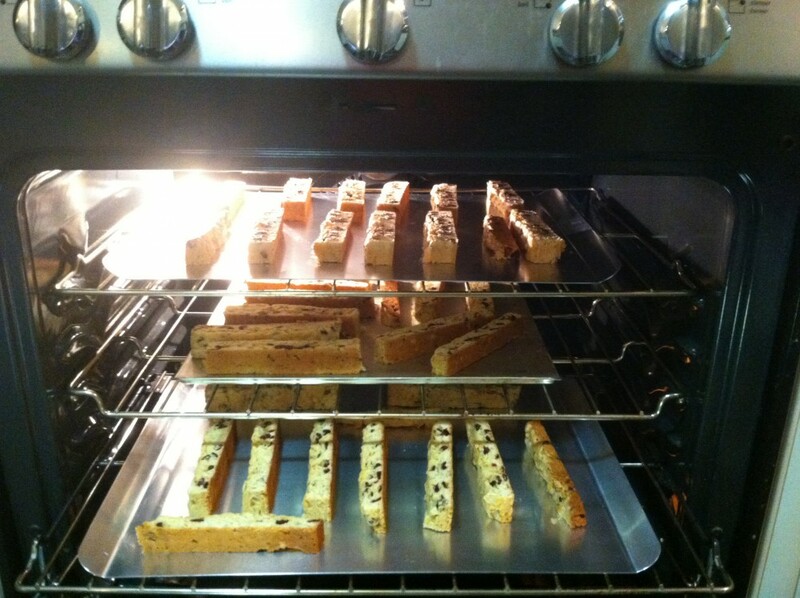 Gently slide the biscotti onto the cooling rack, then remove the first divider and slide the next section out. Do the same for the third section. Place each section on a cutting board and cut into 1/2″ slices. 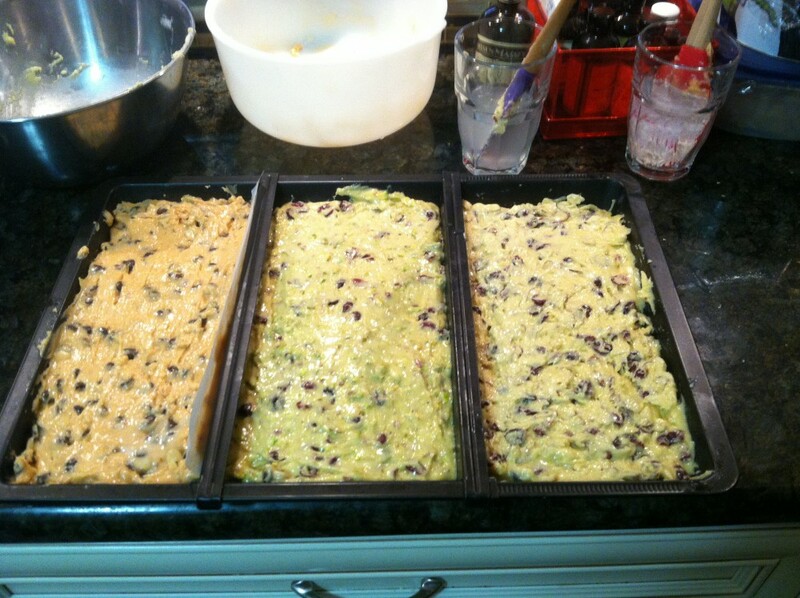 Place each slice on a cookie sheet cut side down and bake for 5 to 10 minutes. Flip the cookies over to the other cut side and bake again for another 5 to 10 minutes, or until the cookies are golden brown and toasted on both sides. 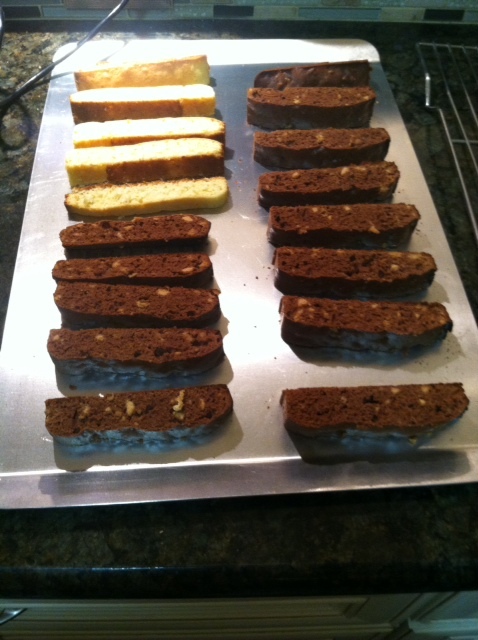 Now for some serious biscotti baking! When I make my thick and crunchy biscotti, I pull out all of my mixers for tripling my normal batch (and enlisted my daughter’s help). On the left is my antique MixMaster Mixer, which I used for the Raspberry Chocolate Biscotti, and on the right is my 6 Quart KitchenAid Mixer for making a double batch of Apricot Biscotti using almonds for half the batter, and pistachios for the other half. 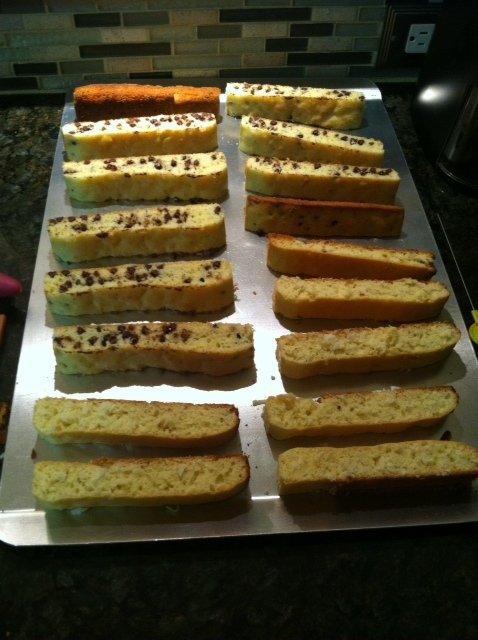 My Biscotti Mise en Place – and my daughter for scale! 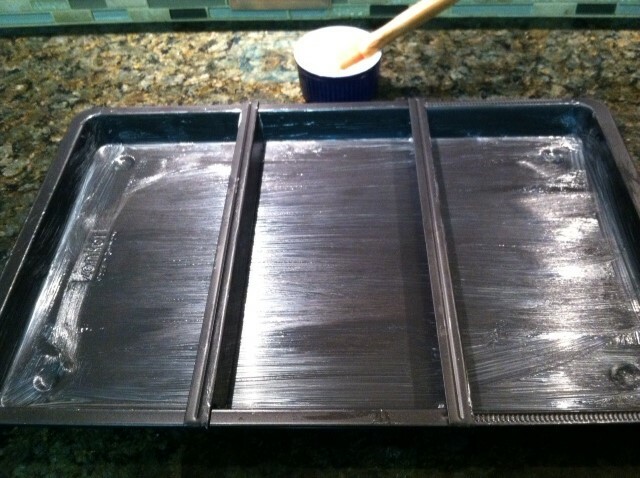 For this thicker recipe, I extend the Zenker Creative Pan to a full length of 20-1/2″ x 13″, and insert the dividers evenly. Keep in mind to measure your oven size, as some ovens will not accommodate a pan larger than 16″ wide. Using the same greasing technique on the pan, as well as the parchment strips to keep flavors separate, I then press the batter into each section of the pan. Dipping a silicone spatula in cold water before spreading helps keep batter from sticking to your utensil as you spread it in the pan. Follow the directions on the recipe, which suggests cooling the biscotti “loaves” for about 15 minutes before slicing into 3/4″ pieces. This makes slicing easier and prevents the cookies from breaking apart while cutting, especially when using larger mix-in’s like nuts and fruit. I was present for both the Quiche and the Biscotti baking experience and can honestly say that they both tasted even better than they looked! This looks like a great product and the Quiche and Biscotti look delicious! I may need to purchase this pan and a recipe book!